Minerals and gems are otherworldly to me. In the chaos of nature, deep inside the heat and pressure of the Earth, elements form themselves into amazing, mathematical materialization. They are not only visually magnificent, but also hold fascination on a scientific level. The various properties of different minerals and crystals have been explored and noted for millennia. From crystal memory information storage, to the isometric-hexoctahedral crystal lattice strength of diamonds, to the more new-age notions of mineral healing, minerals are imbued with qualities of splendor, energy, and magic. I am also very interested in symmetry as an important visual property. Many organisms in the plant and animal kingdom exhibit bilateral symmetry; therefore, it is useful to discriminating living organisms from inanimate objects. 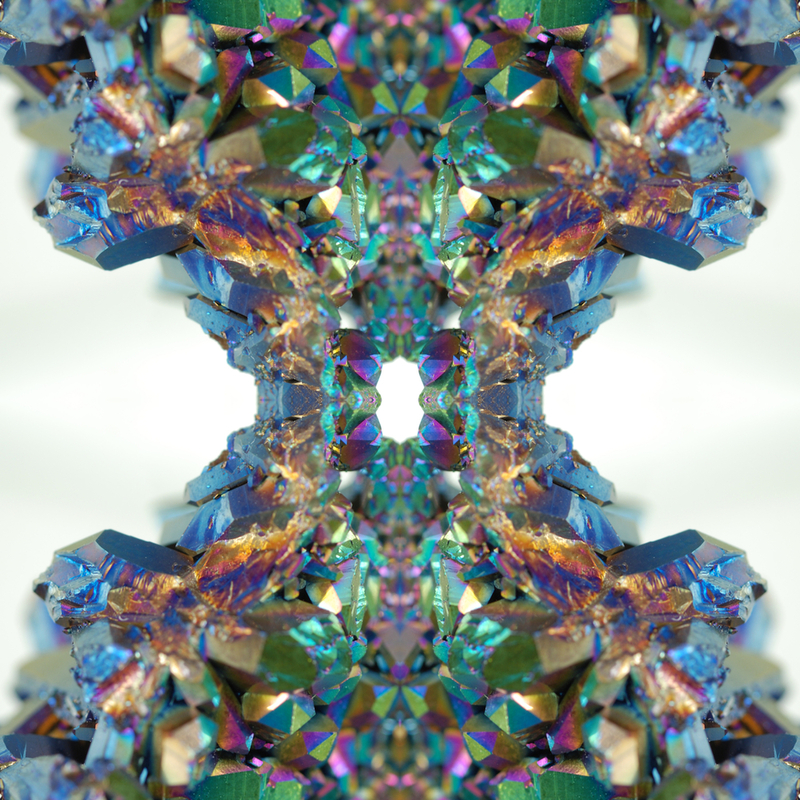 It is with these ideas in mind that I created these mineral compositions. 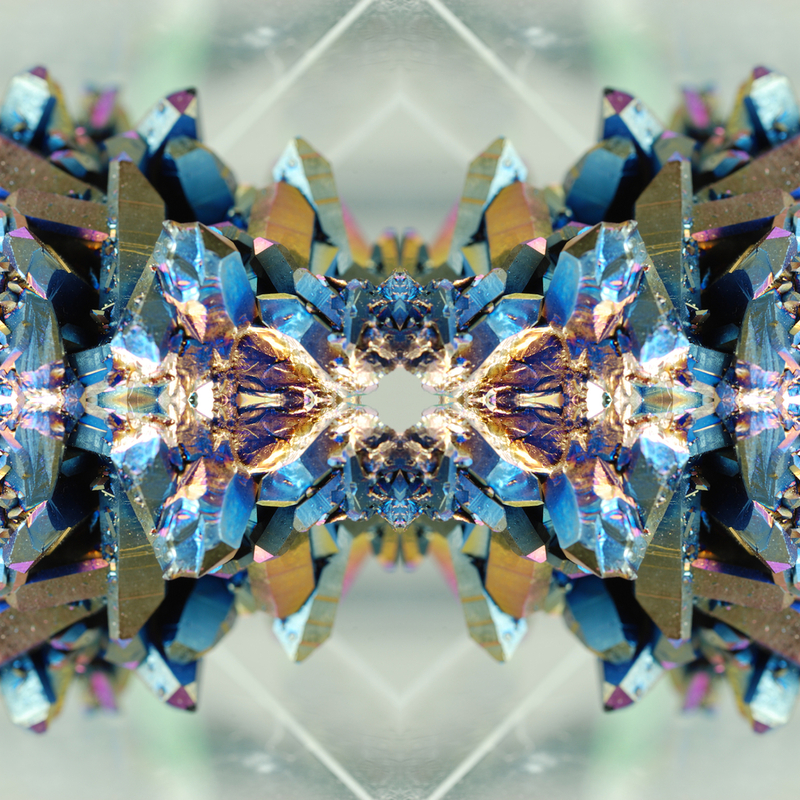 I enjoy altering the symmetry and math of my mineral photos. I aim to create compositions with power and a quality of being alive, referencing stained glass, mandalas, and other sacred geometry, as well as the math and structure of the natural world.